The WTEM follow-up to this peroration was Sheehan’s asking how listeners might “get involved to help support the charity.” It wasn’t a tough interview for Edwards, whose explanation was never challenged with any of the lexicographical research of the origin and use of the term, such as this balanced and nuanced review by David Skinner in Slate late last year or this earlier analysis from the Washington Post. As the Post pointed out, citing University of Connecticut historian Nancy Shoemaker, “even if the Indians were the first to use it, the origin has no relationship to later use. What happened at the beginning doesn’t justify it today.” But with a foundation as a base, Snyder’s depoliticized view of the name of his NFL franchise now gets a philanthropic, 501(c) platform for the propagation of a positive, happy interpretation of the team’s name, which others view as offensive. WTEM reporter and host Steve Czaban has felt Dan Snyder’s wrath before. In 2006, Czaban conducted a Comcast SportsNet TV interview with then-quarterback Marc Brunell, twice asking Brunell if he thought his poor performance on the field warranted his being benched. Brunell complained to Snyder, Snyder complained to CSN, and Czaban was suspended for three weeks for having used an interview to “confuse and embarrass a guest.” Gary Edwards certainly wasn’t going to be confused by a hard question during his interview on Inside the Locker Room, but Czaban, whose show, The Drive (co-hosted with former tight end Chris Cooley) immediately followed, added nary a critical comment. In fact, Cooley lauded the announcement and suggested an important question wasn’t whether the foundation was a good idea, but what the news could have been (such as inviting Cooley back to the team). Long a defender of the team’s name, Czaban added something to the effect that, with the creation of the foundation, to “go against” the team’s name would mean being willing to shut down the new charity. With a foundation, however, one can be as politically correct or incorrect as one wants, with the threat that challenging the foundation might deprive Native Americans of Snyder-provided coats, shoes, or backhoes. Let Snyder and Czaban be as politically incorrect as they may want, but to do it with the implicit threat that criticism jeopardizes charitable giving is obvious and obnoxious. “In speaking face-to-face with Native American leaders and community members, it’s plain to see they need action, not words,” Snyder’s letter said. It included statistics about the social and economic conditions faced by Native Americans around the nation, such as Native American poverty rates, health challenges, and access to basic water and sewerage infrastructure. These and other facts have been long known, certainly for the duration of Snyder’s ownership of the team, which he purchased in 1999. People have protested against the team’s name even before Snyder’s accession to the lead ownership position. If it took Snyder until this year to recognize the socioeconomic conditions of Native Americans, late is better than never. But how might he have responded philanthropically, given that, according to Forbes, Snyder is worth $1.2 billion and the team worth $1.7 billion? Snyder could have used either of two existing philanthropic mechanisms for devoting some portion of his wealth toward Native American needs and causes. Snyder has long had a family foundation (the Snyder Family Foundation, EIN 52-2010676), established in 1996, but since 2008, relatively inactive. Around that time, Snyder shifted most of his institutional philanthropic activity from the family foundation to the Washington Redskins Charitable Foundation, which reported $1,091,788 in total revenues and distributed $539,033 in grants per its 2011 Form 990 for the period ending March 31, 2012. 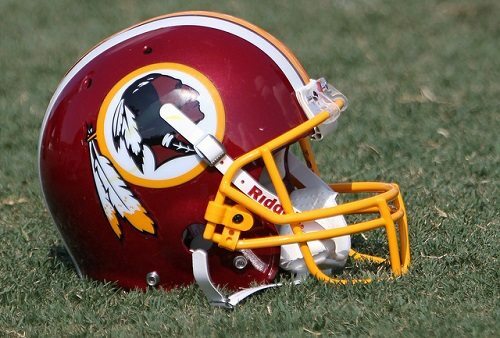 No particular examples of Native American-oriented grants are immediately evident in the Snyder Family or Washington Redskins foundations’ grantmaking, but these Snyder-connected foundations could have been vehicles for a sustained program, as Snyder’s Washington Redskins Original Americans Foundation implies it will do. Alternatively, Snyder could have chosen to work through an established and recognized public foundation connected and responsible to the Native American community. Examples include the Potlatch Fund based in Seattle; the First People’s Fund in South Dakota; the Seventh Generation Fund based in Arcata, California; and the First Nations Development Institute, whose headquarters is in Longmont, Colorado, but has a regional office in Fredericksburg, Virginia, not far from the headquarters of Snyder’s NFL franchise in Ashburn, Virginia. But instead Snyder created a new foundation, bypassing his own as well as established Native American grantmakers. Control might be one reason, but the name of the foundation is the obvious reason, to connect the team with a philanthropic response to the needs of Native Americans. Along with no financials, Snyder’s letter provided no information regarding the governance of the foundation that would ensure that it is truly “theirs.” A former special agent in the U.S. Secret Service, Edwards was the president of the National Native American Law Enforcement Association, and in Congressional testimony he is also identified as a member of the Native American National Advisory Committee for the Boys and Girls Clubs of America, but it is unclear whether he has any experience as a grantmaker or any connection to recognized Native American grantmakers or those who might be on the nascent foundation’s board. Contrary to the implication of Snyder’s letter, helping address Native American conditions and ridding the nation of an offensive epithet as the name of an NFL franchise are not mutually exclusive or sequential. Expunging the team of the offensive name wouldn’t stop Snyder from concurrently devoting philanthropy to Native Americans. It’s a false argument.